To the screamers, moshers and laugh out louders. To those that saw the hottest band the first time around or are the first timers in the crowd. Never miss the unmissable again! 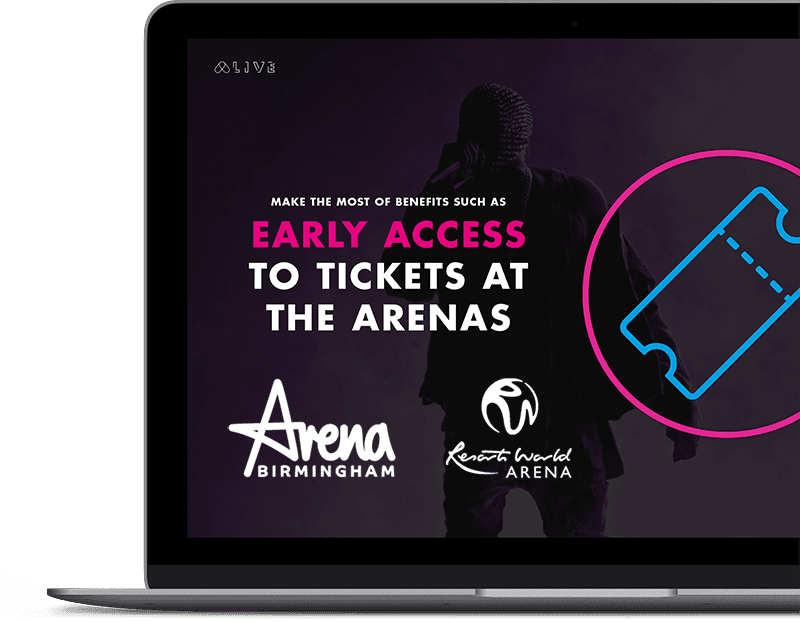 Exclusively brought to you by Arena Birmingham, formerly The Barclaycard Arena, and Resorts World Arena in Birmingham, you can take advantage of early access to venue pre-sale tickets, various discounts and unlimited bragging rights plus other exclusive perks! For a one-off payment of just £40, you can unlock all of these benefits and enjoy them for a whole year. With us, you'll never miss the unmissable again. Our new superfan membership has arrived, giving you early access to the hottest tickets, exclusive discounts and unlimited bragging rights! Give moments of awesome, to awesome people with the ultimate Superfan Membership. Give the gift of never missing the unmissable for just £40 for a whole year.